Tilapia is a delicious fish full of nutrition that you could easily raise at home. Raising tilapia at home would provide a healthy source of protein for you and also your friends and family. You could even take it a step further and sell it for profit. Starting a fish farm right at home is not that difficult. 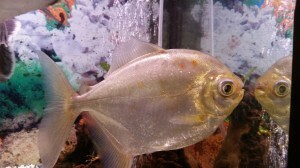 You probably already like fish and would enjoy raising fish for your personal consumption. You would also have a variety of household items readily available around the house. For example, you could use any space for farming around your house, in your backyard or in your basement. If you have a backyard pond, some tubs, or some large fish tanks, or even if you have a couple of barrels around the house, you could use them and start raising fish in them. Fish farming can be done at any scale, so, you could start out small with some small containers or small ponds and if you find it profitable for you, you could expand it and turn it into your own home based fish farm. Sounds interesting? This article will guide you through the basics of starting your own home based fish farm. Going to give you the bonuses first. Starting a farm right at home has many advantages. If you live in the country, homesteading could give you self-sufficiency and economic stability. Even if you live in the city, urban farming is now becoming very much mainstream. Home based farms are able to produce enough food for their entire family and save huge amounts of money on groceries. Some even take it a bit further and may also have enough produce to sell to the neighbors or to the local farmers’ markets. There are several examples of such large urban farms right in the middle of the city. Before you start your home based fish farm, you should decide at what scale you want to start your farm. It would depend on your experience, available space and the amount of money you have for investment. If you are in the country, consider how much land and money you are able to invest for your fish farm. If you are in the city, decide whether you want to dig a pond in your backyard, install above the ground or setup an indoor fish farm. If you are just starting out, gather enough information about fish farming before you start. If possible talk to other farmers in your area and learn from their experience. Success in any business depends on how well you know what you are doing. You would want to gather knowledge and experience first before you invest any significant amount of money into it. As I mentioned earlier, you fish farm could be indoors or outdoors, big or small, depending on the scope you have. So, you could use your backyard pond, a swimming pool or you could dig a large fishpond in your backyard for farming. If you have a large area, consider setting up boundaries and fences around your farming area to keep most of the crawlers and other types of predators out. For indoor fish farming, you could use your basement, or anywhere where you have enough space for placing your fish tanks, tubs or indoor pools. After digging your pond, fill it up with fresh, clean water. Your municipal supply water will work great. 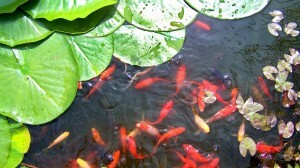 For both indoor and outdoor ponds, enough air and sunlight is needed. If you are using an indoor pool, tubs or aquariums, you should set up pumps to supply fresh air to your fish. For outdoor ponds, a water fountain would work great for small ponds. For larger ponds you will need to set up rotary aeration devices or wheels along with water fountains for aerostation. You will need some testing devices to keep your water quality up to the mark. For larger ponds, you will need to check your water quality, pH level, and monitor the amount of oxygen in water, regularly. For smaller backyard ponds or aquariums, add some aquatic plants, it would create a little ecological system in your fish pond. It would also make your fish farm much more attractive and lively. Plants provide food for the fish, add oxygen to the water through photosynthesis process, and they also provide shelter for fish, when they are little, or when they are attacked by predators. Getting juvenile fish or fingerlings and raising them to sellable market size fish would give you maximum profit. Fish like catfish or tilapia are very popular for their taste and they are also relatively easy to raise, and they do well in almost any climate in the United States. Look for farms, fisheries or hatcheries around your for reliable supply of healthy fingerlings and juveniles. Fish like tilapia and catfish can eat a variety of different food. You could get commercial pelleted food for them, or feed them some grain based food, like bread, soy or corn, or left over apple from your kitchen. Try a small amount first to see if they eat it. Follow feeding rules and avoid overfeeding because it could cause more trouble for your tank. Efficient feeding and sustainable fish farming increase feed to fish conversion ratio, and it’s an important key factor to success of your fish farm. For more information on aquaponic systems or home based fish farming, or if you would like to start your own fish farm, please give us a call at (303) 495-3705 or Click Here to book a meeting with us. We’d love to hear from you, so please leave a comment in the comment box below or click here to visit our Facebook page. My name is Maud and would like to engage in fish farming just for my consomption. Is it possible to start in a barrel? I would also like to know how to go about it because l have no experience at all. Just read the write ups of the backyard fish farming. Thank you very much for the information shared. I am interested in doing fish farming for personal use. I have two barrels that iwould like to use and be glad the type if fish that i can farm. we have a small lake in our grounds it has common and mirror carp and many many thousands of golden rudd. the net. Shame on the seek engines for now nnot positioning this post upper!